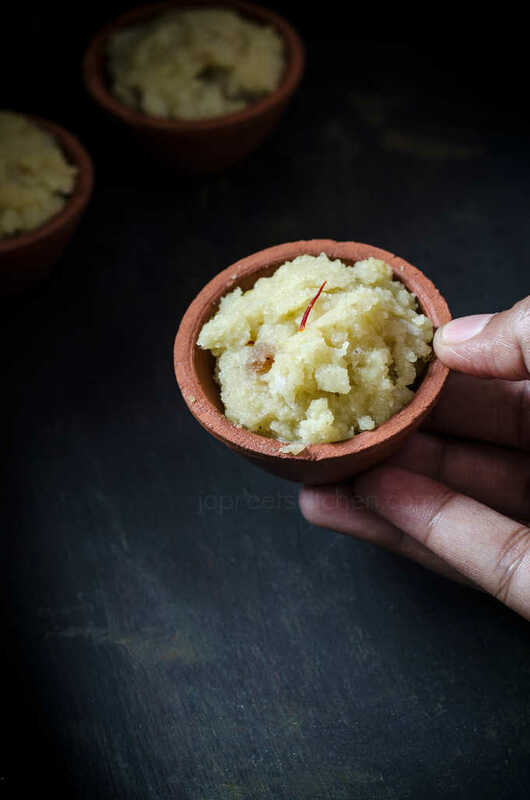 Samai Lychee Kesari, a very unique flavor loaded pudding recipe made from little millet and lychee. 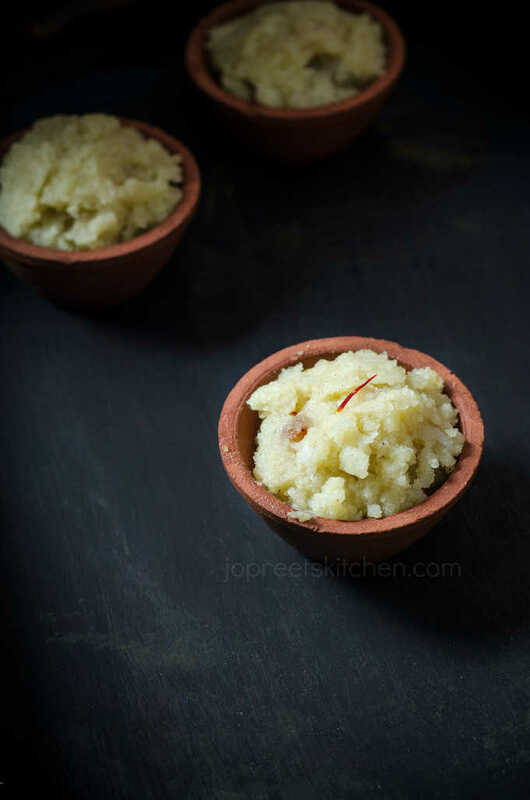 You couldn’t spot the taste difference, as it tastes similar to regular rava / semolina halwa. You can replace lychee with any fruits like peach, kiwi, apple or mango. Each fruit will give an unique flavor to this dish. To make this dish vegan, replace ghee with oil & skip milk. 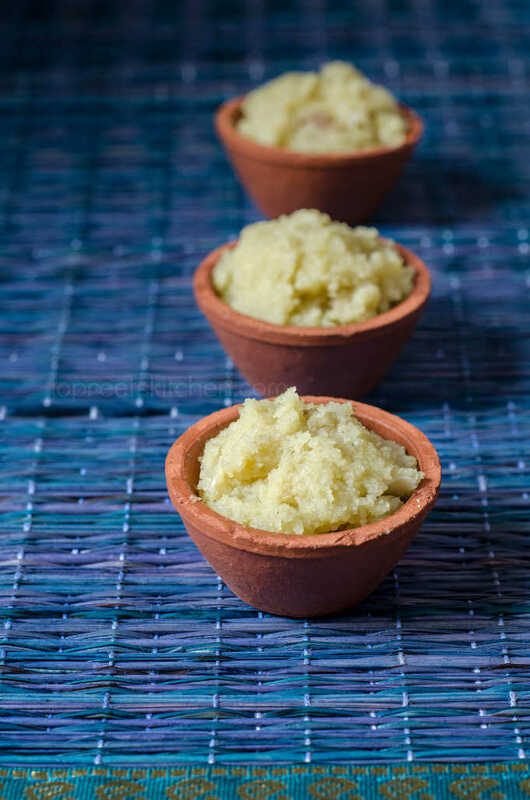 a very unique flavor loaded pudding recipe made from little millet and lychee. Dry roast samai in a pan till it turns crispy. Remove from the heat and allow to cool. Grind it in a mixer to coarse powder like fine rava consistency. Keep it aside. Blend chopped litchi in a mixer to smooth paste. Soak saffron strands in warm milk. Heat 1 tbsp ghee in a non stick pan. Roast samai powder along with cardamom powder till nice aroma comes. Add warm water and stir it frequently to avoid lumps. Switch to low flame and cook till all the moisture is absorbed and samai gets cooked. It may take around 15 mins. Now, add sugar and stir well. Add saffron soaked milk and stir well everything. Cook for another 10 mins. Once halwa starts leaving the sides of pan, add ghee roasted nuts and raisins. Mix well and cook for another 5 mins. Remove from the heat and serve warm or cold. 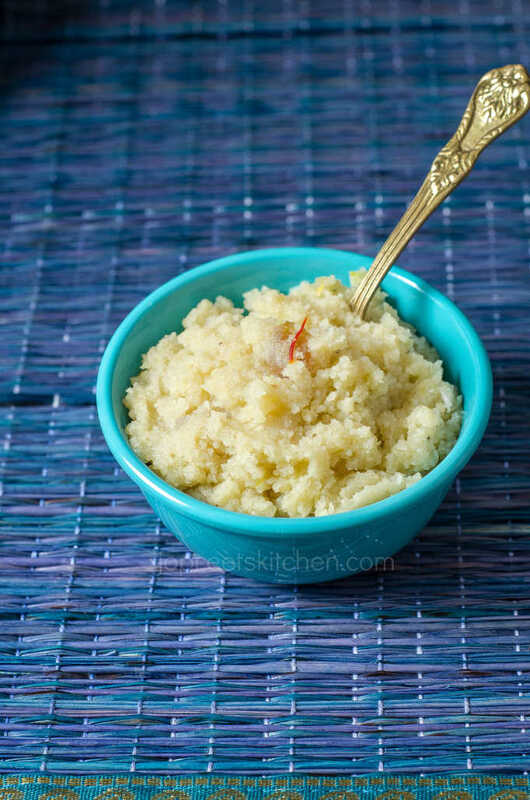 Very healthy and tasty halwa. Looks sooooo good.